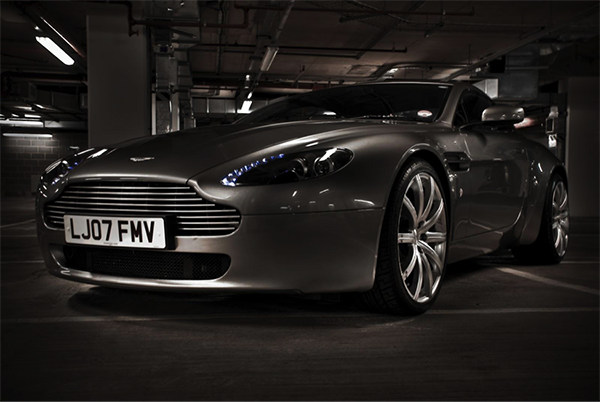 Aston Martin is a British manufacturer of luxury automobiles. It was first founded in 1913 and is best known for its association with the James Bond movies. Following its appearance in the 1964’s Goldfinger, it became associated with luxury and sophistication. The company endured some turbulent financial hardships in the 1970’s and 1980’s. But in recent times Aston Martin have since enjoyed stability. As part of the Ford Motor Company, they have continued to blossom and find success as a brand. Aston Martin recently announced it would again be partnering with Bond in the up and coming movie Spectre. It is the 24th Bond film and will mark the 12th time the suave 007 has driven an Aston Martin on screen. Director Sam Mendes revealed that the car driven by Daniel Craig’s Bond in Spectre would indeed be an Aston Martin DB10. The new Aston Martin DB10 resembles a combination of an old e-type Jaguar and the previous Aston Martin model, the DB9. The new car will showcase Aston Martin’s new design ideas and represent a change in direction for the brand. There will only be ten models of the car built (all for the movie) and none will be available for public sale. The first Aston Martin car to make waves was the DB5, which appeared first in Goldfinger. It went on to make appearances in other Bond movies including Thunderball, Casino Royale and Skyfall. The relationship between Bond and Aston Martin is such that today a used 1963 Aston Martin DB5 can sell for north of $700,000. In Casino Royale, Daniel Craig’s first outing as 007 the filmmakers took Bond back to its roots. This included showing us how Bond first acquired his famed DB5, winning it in a game of poker. The pair have never looked back since. The DB10 is meant to give us a glimpse of the future for the company and show us an example of next generation Aston Martin cars. The move signifies a celebration of a 50-year partnership between the automakers and the Bond franchise. So much more than just cars, the Aston Martin vehicles on screen represented an extension of the character of James Bond. They were always great to look at, but full of surprises and more than a little deadly. The cars Bond drives are always customised to allow for an array of weaponry and defensive capabilities. From rocket launchers to machine guns the Aston Martin’s were Bond’s reliable, long-suffering partner. Interestingly the one actor who never rode a famed Aston Martin as Bond was Roger Moore. Even more strange as Moore played Bond the most times out of any actor. But it was during his era that the company were experiencing problems so this could have something to do with it. Except for Moore every actor to represent James Bond has driven one of these famous British cars. The Aston Martin is ingrained in Bond mythology and as such in British culture. It gives the Bond franchise the perfect balance of traditional and modern. Catch the new DB10 when Spectre is released in November 2015. « Should You Buy A Lexus RX? Find Out In Here!